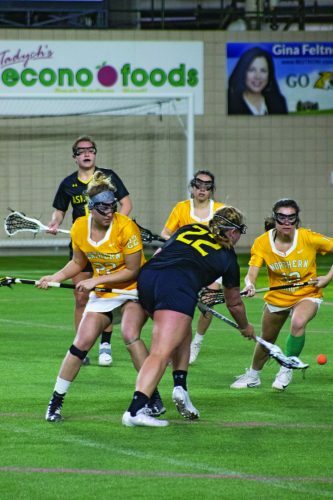 MARQUETTE — Normally, a hockey game played in early February isn’t that big a deal since there’s still quite a few games left to play in the season. 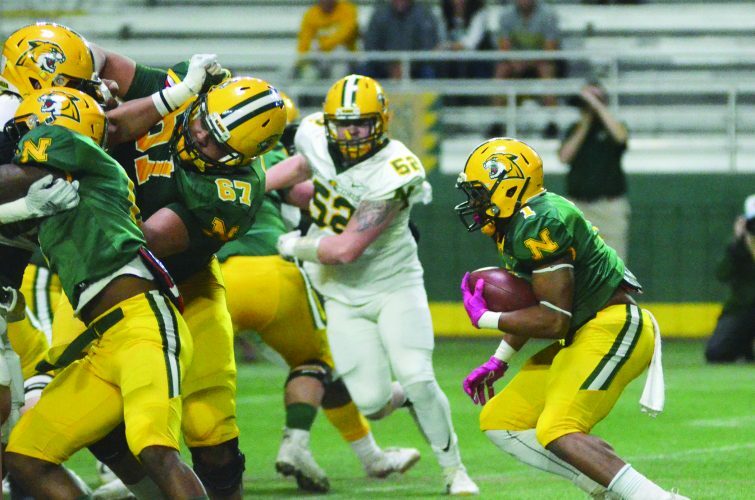 A case can be made, though, for the Northern Michigan University squad that Saturday night’s game against Bowling Green State was the biggest game of the year so far. The Wildcats were coming off a home sweep by now-No. 6 Minnesota State, the second game a disastrous 8-2 defeat. 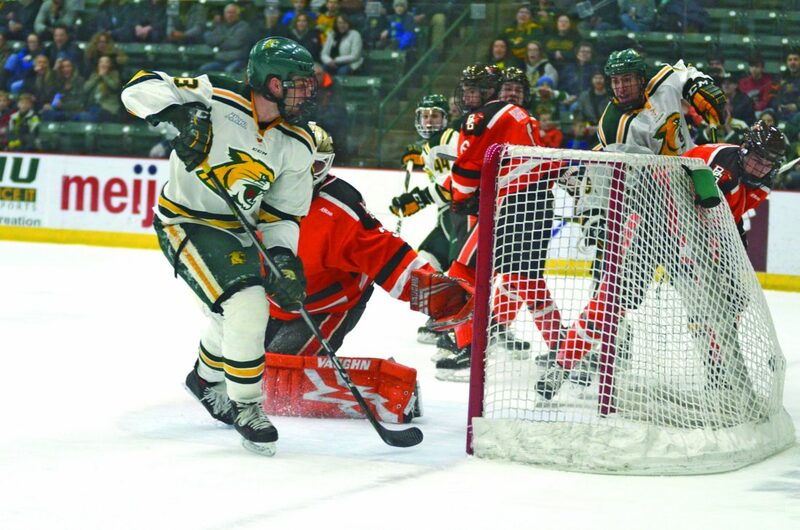 NMU was then beaten 3-2 in overtime by BGSU on Friday night at the Berry Events Center, so the ‘Cats needed a win just to keep pace in the highly competitive WCHA. Northern got that win by scoring three goals in the first period and hanging on late to earn a key split with the now-No. 16 Falcons as the Wildcats sit fourth in the conference, four points behind BGSU and two in back of Lake Superior State. When asked if he agreed with the idea that Saturday was the biggest game of the year to that point, Wildcats head coach Grant Potulny said that he did. “Yes, I do,” he said. “Saying that in February, maybe people think that it might be an overexaggeration, but based on the history of the last year and this year, we’ve had some really good games against each other,” he said. “Last year, I felt like the series here was a determining point to whether we were home or on the road for the second round of the playoffs. The Wildcats (14-13, 13-7 WCHA) needed to be at their best because they were playing one of the better teams in the country, but the question is whether they can maintain that focus against an opponent not nearly as good. Alabama-Huntsville was seen at the start of the season as a program that could finally climb the standings after fighting NMU to a deciding third game in the WCHA quarterfinals last season. But the Chargers haven’t lived up to expectations and are holding on to eighth place — the final playoff spot. Huntsville (6-23-1, 6-15-1) is bad, especially when it comes to offense. The Chargers are 58th nationally in total offense and 58th on the power play. Things aren’t much better on the defensive end as UAH is 46th in total defense, though it’s fairly good on the penalty kill. Huntsville has two players who won January WCHA awards in Hans Gorowsky (Forward of the Month) and Kurt Gosselin (Defenseman of the Month), so there is some talent on the roster. What also might help the Chargers is being at home this weekend as Huntsville, Alabama, is a place the Wildcats have struggled at the past few years. “It’s going to be challenging because they play hard,” Potulny said. “They’re not a team that probably has a lot of gifted offensive players, but in their building, it’s a smaller ice sheet. Even smaller than the NHL. “They’re in your face, they’re physical and they have numbers above the puck. You’re not going to be able to run as much as you want, so you’re going to have to slug it out a little bit until the game opens up and then make a play. “The biggest thing for us when we’ve had success is that we’ve been able to kind of slug it out a little bit and then when the game opens up, make a play,then extend the lead, and it changes the game. “In the games where we’ve struggled, I don’t think we’ve been willing to slug it out enough and I don’t think we’ve executed when we’ve had to. “They’re a little different of a team than a lot of teams that you see based on how they forecheck and based on some of the ways that they generate offense, having three guys in front of the puck always. What definitely needed to be adjusted last weekend was Northern’s start to games. The Wildcats have frequently fallen behind in the first period this year and had to play catch-up, something that hasn’t always worked out. 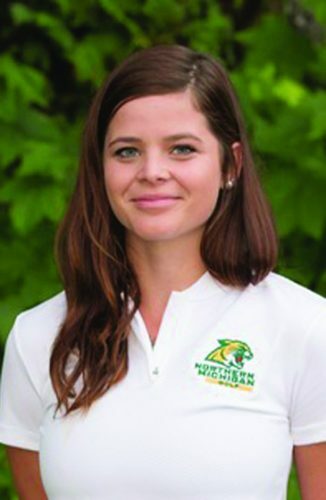 On Saturday against BGSU, NMU got off to a roaring start, going up 2-0 and leading 3-1 at the end of the opening period. When asked what created that turnaround from Friday’s disappointing loss to Saturday’s much-needed victory, Potulny said he hoped it wasn’t anything he said or did and that it was just the players coming together. “I hope it wasn’t me kind of crawling into some guys,” he said. “We talked a little bit after the game. It’s a necessary evil of the job. I don’t like it, but certain times it needs to be done. I hope it wasn’t that. What is certain is that it was an important win, keeping the Wildcats in the hunt for home ice in the first round of the WCHA playoffs as they even have a shot to finish in second place behind Minnesota State. To do that, though, NMU needs to stay charged up against the Chargers and avoid having a letdown. “I think the biggest thing for us right now is getting our energy back and working on our puck touches,” Potulny said. “We didn’t do a ton of that last week. I think they understand the importance of it. It’s a turning point in the tide for a season a little bit where you’re kind of riding along and you’re going on the low tide and then all of a sudden, you’ve got get up and ride that wave again. Friday’s game at Huntsville starts at 7 p.m., with Saturday’s contest earlier than usual with the puck dropping at 4:30 p.m.